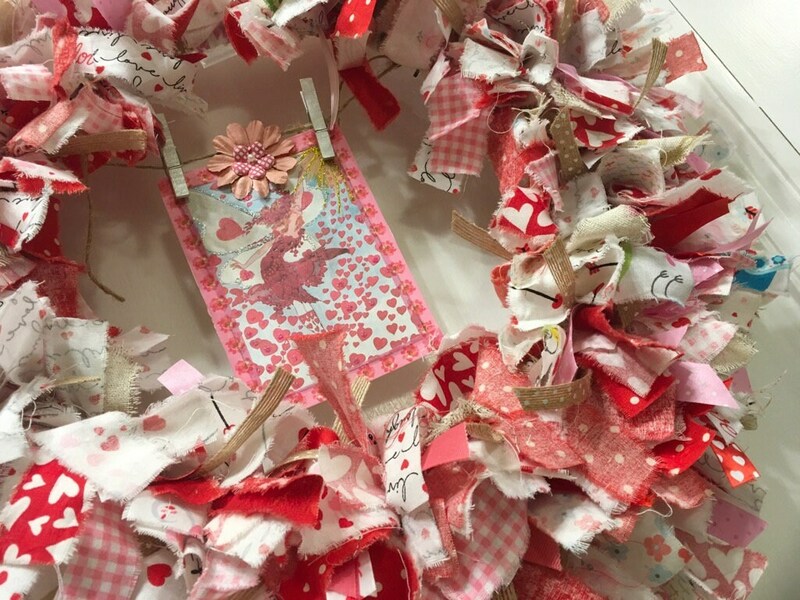 Full and fun! 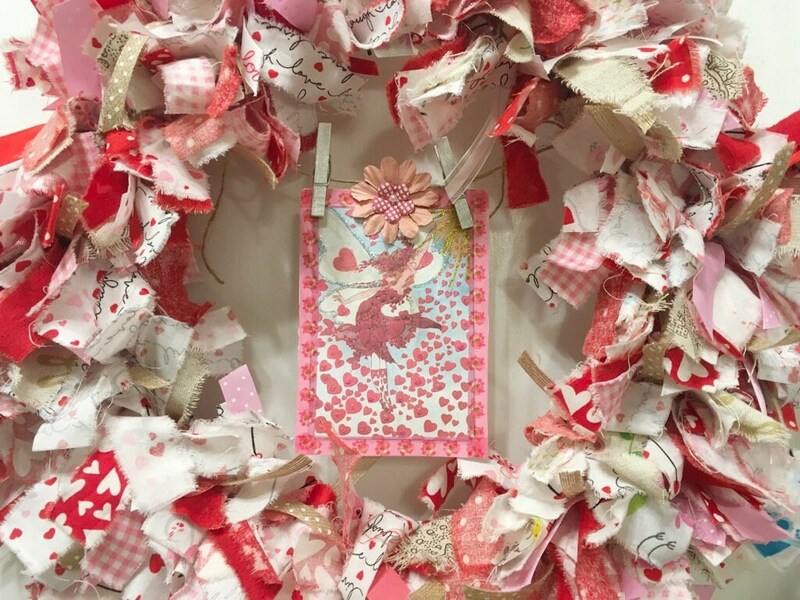 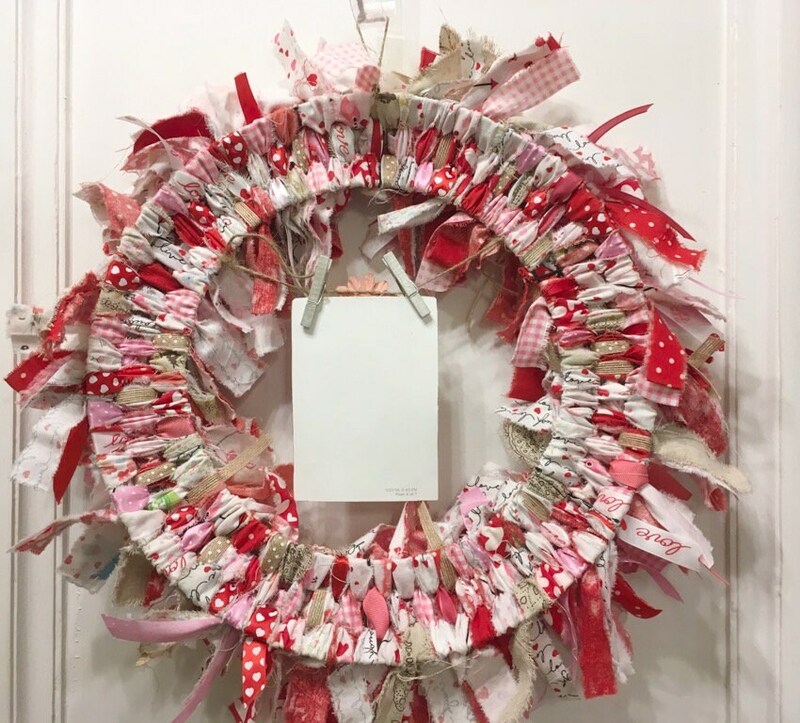 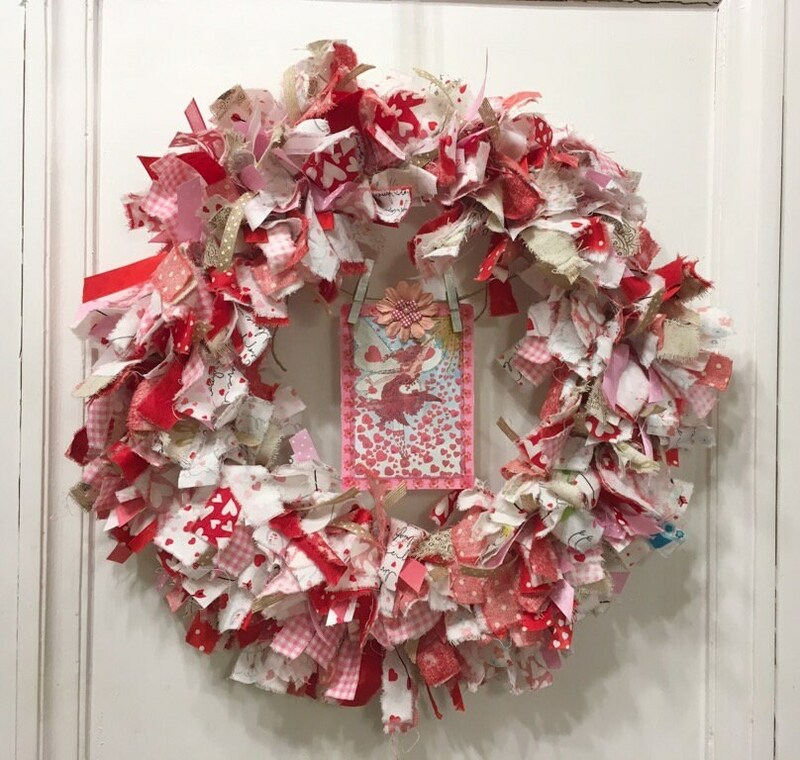 This Valentine’s Day rag wreath is created on a round 12” metal frame form. 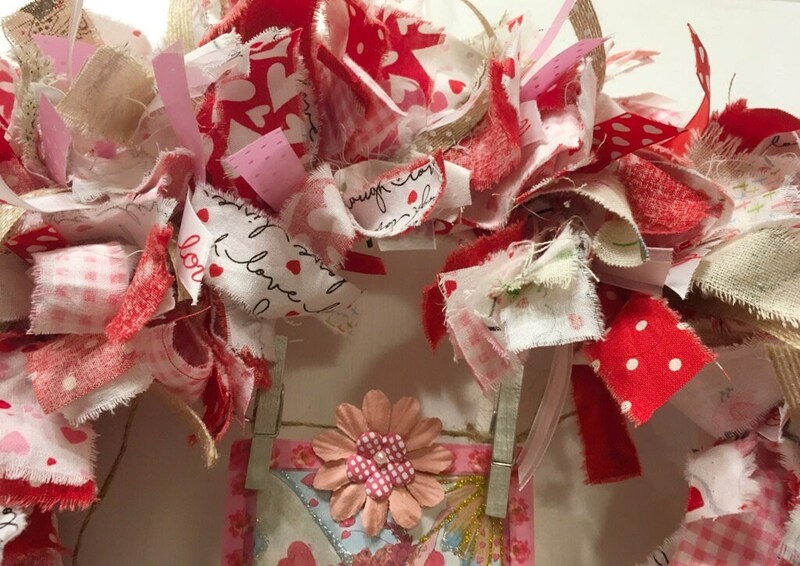 In pinks, reds and whites it features hearts (naturally), cupid’s arrows, script, polka dots, gingham, and lots of ribbon. 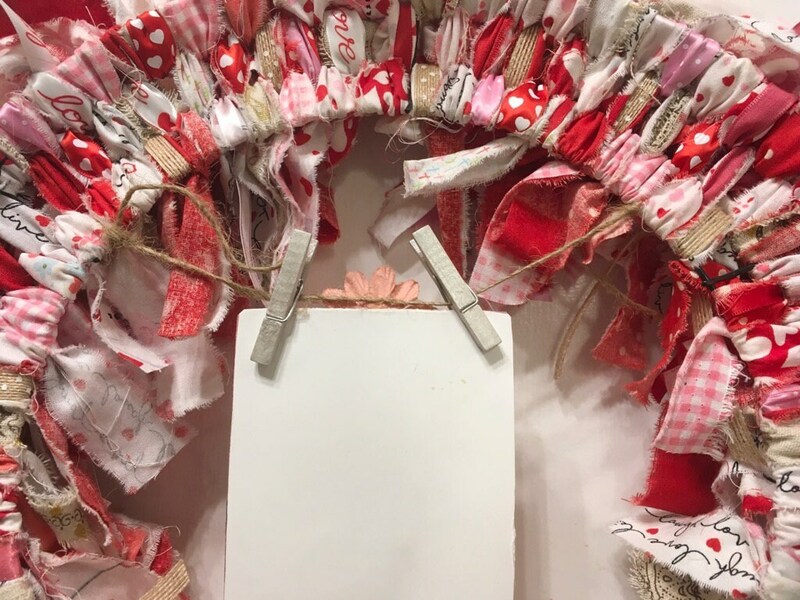 There are 400+ fabric and decorative ribbon strips. 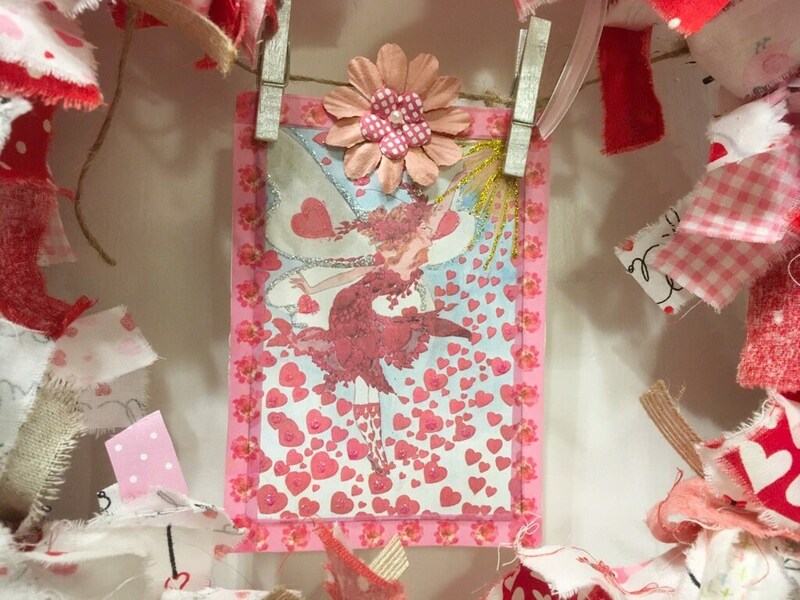 A handmade Fairy Valentine hangs as a banner decorating the center. 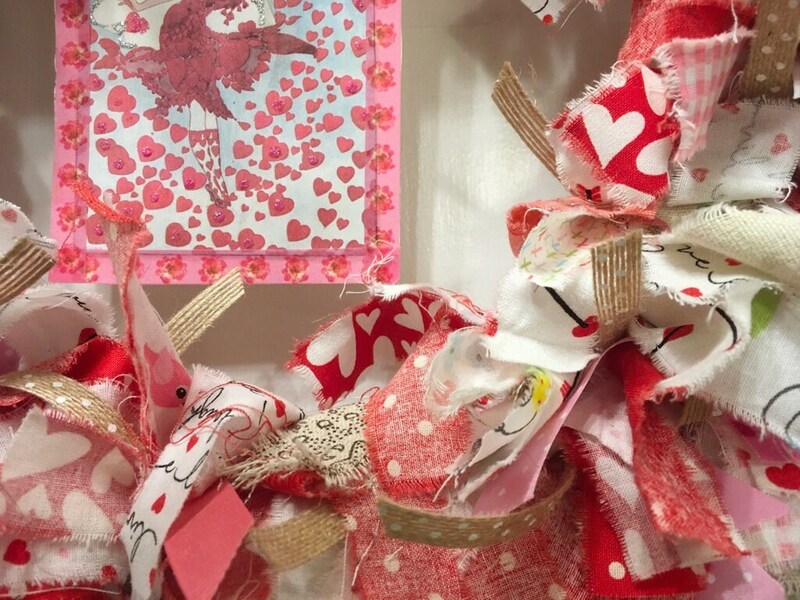 So, will you be mine Valentine?